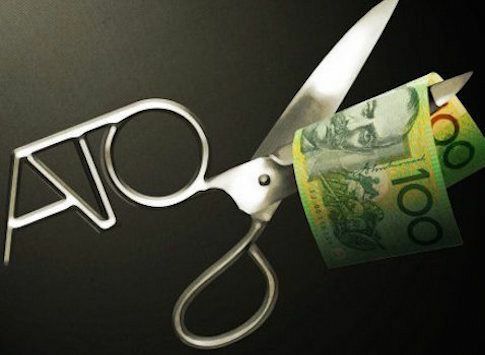 The ATO's recent 'Corporate Tax Transparency Report' is reason to be "screaming from the rooftops for the companies in this list to explain how they have been exploiting us for years", according to former Assistant Commissioner of Taxation, John Passant. THE AUSTRALIAN TAX OFFICE (ATO) released the 'Corporate Tax Transparency Report' last week. Other non-taxables chosen more or less at random include David Jones with over $2 billion in sales revenue, Qantas, with gross revenue of more than $14 billion, its competitor Virgin, with more than $4 billion in sales, ExxonMobil with more than $9 billion in gross revenue and the University Cooperative Bookshop with sales of $115 million. None had any taxable income or paid any income tax. News Holdings Australia Ltd had revenue of $2.8 billion but no taxable income and no tax payable. Perhaps Mr Murdoch would like to explain how that comes about? Quick back-of-the-envelope calculations are that the gross revenue of the untaxed companies is around $400 billion. A minimum company tax of ten percent of this figure would yield $40 billion a year. Think of it as a licence fee for these companies to operate in Australia. It could apply not just to those who pay no income tax on their massive revenues but to those whose tax paid is low by comparison to the statutory rate of 30%. It is not just about companies with lots of revenue but no taxable income and hence no tax, some companies have taxable income but pay no income tax. For example Transfield, as it was then called, with gross revenue of almost $3 billion – much of it I believe paid by taxpayers for Transfield/Broadspectrum running our offshore concentration camps – had a taxable income of just $16 million and yet paid no tax. 60% report debt to equity levels above 75%, which may artificially reduce taxable profits. The effective tax rate of a company is the tax paid as a percentage of accounting income (which is usually higher than taxable income because of all the tax deductions, offsets, credits and exemptions of which business can take advantage to reduce their taxable income). Google Australia, for example, has Australian revenue of about $357 million with a taxable income of $90 million, yet still only paid $9 million in income tax — a tax rate of ten percent rather than the statutory rate of 30%. Maybe Google would like to explain that? But there is much more to it than that. A lot of Google’s revenue from Australian sources is booked through Singapore. This is called base erosion and arises because our tax treaties are based on physical presence for the allocation of taxing rights. When you book an advertisement through Google for the Australian market, you contract with Google Singapore, not Google in Australia. One estimate a few years ago indicated that on revenue from Australia in the order of $2 billion, Google paid $740,000 in income tax. This was because most of the income was contracted through and hence taxed in Singapore — at low rates of course. By the way, Michelle Guthrie, the head of Google Singapore marketing and advertising, has just been appointed head of the ABC. Maybe her company’s tax planning might be worth a thorough ABC investigation. She would be a perfect focus for those investigations. Apple has sales income from Australia of more than $6 billion but taxable income of only $247 million. It pays tax of $74 million on that. Perhaps Apple would like to explain how such a massive amount of revenue gets reduced to so little taxable income? The Financial Review ran a series of investigations into Apple’s tax arrangements and concluded that Apple shifted profits totalling almost $9 billion in the decade to 2014 out of Australia to Ireland. Basically, Apple Australia pays lots of money to Apple companies in Ireland for intellectual property and other rights. The backstory with cases like Google and Apple shows that the tax situation can be even more revealing than the bare figures show. It is why we ordinary workers should be screaming from the rooftops for the companies in this list to explain how they have been exploiting us for years and paying little or no tax. The “spin doctors” are out in force. They are dealing in half-truths about gross revenue and legislated exemptions, deductions and offsets (credits). Of course gross revenue is not taxable income. You have to take away from gross income all the deductible expenses to arrive at taxable income and the report doesn’t detail what these are. And, of course, some companies will have years in which their revenue doesn’t come near their spending. Using Australian Securities Exchange (ASX) data, the ATO says that this is likely to be about 20 to 30% of the companies listed in the report. Or, they will have losses from previous years which when carried forward, give zero taxable income for the year. Or, there might be lots of franking offsets (credits associated with dividends and related to the company tax paid), or research offsets or foreign tax credits. All true. But what the release of the figures does, is allow us to ask those companies with lots of gross revenue why they pay no income tax, or little income tax. It does tell us, however, whose side O’Dwyer and the rest of the Liberal Government are on. They are apologists for the tax avoiders. Some of the tax reductions arise through the use of legislated special deductions, exemptions or offsets — many of which are only available to companies, or which favour, disproportionately, the rich and powerful. We should not, however, shrug our shoulders and say, “Fair enough”. It isn’t fair. The real question should be why do these special exemptions, deductions and offsets, exist? Just because Labor and Liberal governments have legislated tax breaks for companies doesn’t make them appropriate. How much do these legislated tax rorts cost? Treasury’s annual ‘Tax Expenditure Statement’ gives us some idea. It might be hundreds of billions in total. Do they achieve the results they were originally intended to produce? Perhaps we should consider abolishing these legislated rorts and moving to a grants system – subject to the same sort of rigorous scrutiny governments apply or want to apply to welfare recipients – rather than allowing “open slather” through the tax system? None of this general knowledge about big business paying low or no income tax is new. This was before the Global Financial Crisis (GFC) which current spinmeisters (including the ATO) are arguing still impacts adversely on the current tax payable, by big business. If that is the case, why does the 40% figure over 2005-2008 cited by Killaly, almost exactly match the 38% figure for 2013-2014 that the Corporate Tax Transparency Report shows? It looks to me like nothing has changed over the last decade, despite Labor and Liberal changes to legislation and ATO crackdowns. Big business tax avoidance is not some aberration. It is the logical expression of a system based on making profit. Cutting tax is just another way of improving the bottom line. Short of revolution, can we force those big businesses paying little or no income tax to pay? Labor’s anti-avoidance proposals are “mickey mouse” — giving the impression of doing something without actually worrying big business. They involve some tinkering at the edges to thin capitalisation, hybrid entities, reporting and a bit more funding for the ATO. This would, according to Labor, raise about an extra $2 billion a year. Two billion is chicken feed compared to what big business is getting away with. As the Corporate Tax Transparency Report makes clear, the time has come for drastic action. We could charge big business a licence fee based on their gross Australian revenue and make it progressive so that the less their effective tax rate is, the higher the fee. We could abolish all the special tax deductions, exemptions and credits that reduce a company’s tax payable and implement a rigorously policed grants system instead. We could make the general anti-avoidance provision (Part IVA) operative, not when a company’s sole or dominant purpose is to avoid tax but when tax avoidance is a not insignificant purpose. We could investigate ways to make tax avoidance illegal. The possibilities, if we had the political resolve, are almost endless. Neither The Coalition nor the Labor Party has that resolve. What about beefing up the ATO? Chris Jordan, the former KPMG partner Labor appointed as the Commissioner of Taxation, has got rid of 3000 experienced, middle level tax officers and plans to dump another 1700 over the next few years. He has also just increased the pay of his senior executives by 3% on the same day 85% of his staff voting in an enterprise bargaining agreement, rejected his measly 2% per annum on average offer. The ATO could reemploy some of those 3000 with a focus on big business tax avoidance. It could also offer its staff a 3% pay increase backdated to 2013. If you want to collect money from the big business tax rorters, Commissioner, you should treat your staff with respect rather than contempt, and make sure their jobs are secure and well paid. This government has set up a witch-hunt into trade unions. Labor or the Greens could announce a royal commission into tax avoidance. A senior officer from the ATO who strikes fear into the heart of big business tax avoiders because that person knows the law and has a vision for big business paying their fair share of tax instead of rorting the system, would be perfect to lead the Royal Commission into tax avoidance. The next time Turnbull and Morrison bleat about a spending problem and attack pensioners, the unemployed, the sick, the disabled, Indigenous Australians, the arts and so on, or talk about increasing the GST or broadening its base to tax the likes of fresh food and going to the doctor, our response should be simple. Tax the rich instead. The money is there. Stop the tax rorts of big business. John Passant is a former Assistant Commissioner of Taxation in the Australian Tax Office. He was in charge of international tax reform in the ATO. You can follow John on Twitter @JohnPassant. In his next article(s) John will examine some specific companies.